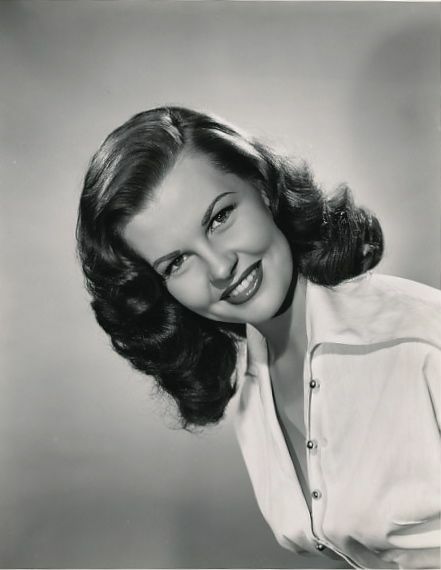 Mary Ann Castle (January 22, 1931 – April 29, 1998) was an American actress of early film and television whose personal problems destroyed her once burgeoning career. Her best known role was as female detective Frankie Adams in the syndicated western series, Stories of the Century, which aired from 1954 to 1955. Castle was born as Mary Ann Noblett to Erby G. Noblett, Sr. and Myrtle A. Noblett in Pampa. Her mother was one-sixteenth Quapaw Indian. The Nobletts moved to Fort Worth, Texas, then Phillips, subsequently a ghost town in Hutchinson County, Texas, prior to relocating to Long Beach, California. At the age of nine, Castle contracted pneumonia. Her brother, Erby Noblett, Jr. (1927–1992), taught her trick riding and later became a police officer in Long Beach. In 1946, Castle gave birth to an out-of-wedlock daughter in Los Angeles. In 1955, the then eight-year-old child was reportedly seriously ill in a Long Beach hospital. At nineteen, Castle was a model for a bathing suit company. A studio scout became interested in her after seeing her photograph in a magazine. 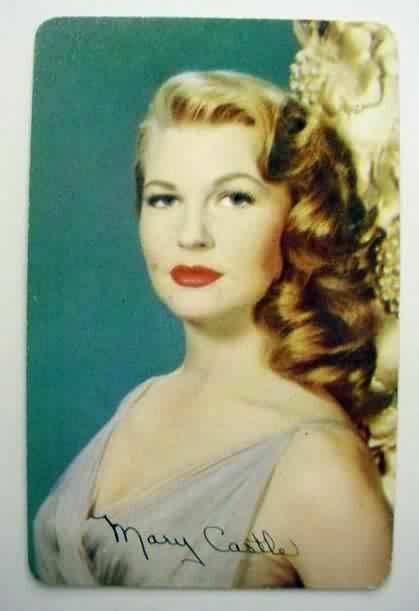 In August 1950, she was dubbed the "lady who looks more like Hayworth than Hayworth does." 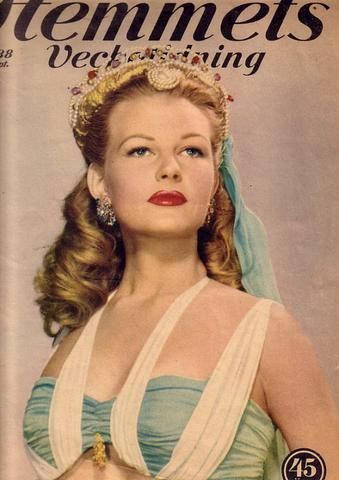 Her first contract was said to have been granted solely on the basis that the red-haired Castle indeed resembled Hayworth.Harry Cohn, boss of Columbia Pictures, was said to have envisioned Castle as a replacement for Hayworth, who had married Prince Aly Khan and was rearing a family. 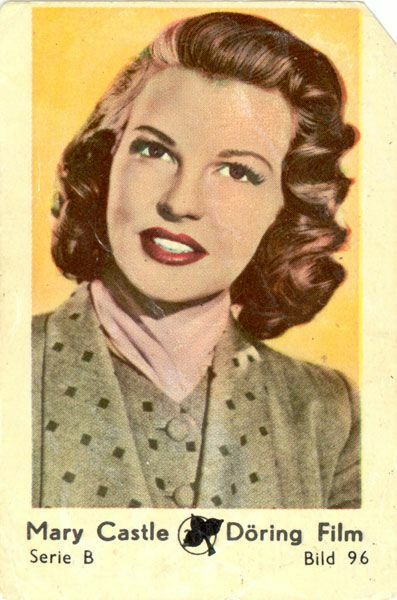 Castles' first credited role was as Flo in the 1950 film The Tougher They Come. 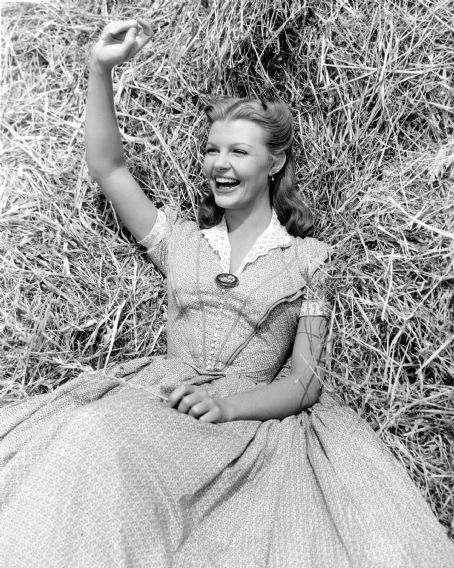 In 1951, she appeared as Toni Eaton in Prairie Roundup, as Rita Bagley in Gene Autry's Texans Never Cry, as Elizabeth Leeds in When the Redskins Rode, and as Gloria Lydendecker in Criminal Lawyer. Her first television appearance occurred in 1952 as Marcia Thorne in the episode "One Angle Too Many" of the detective series Racket Squad. In 1953, she appeared as Jane Brown in The Lawless Breed and as Yvonne Durante in Three Steps to the Gallows. 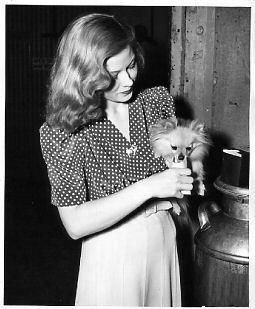 She then appeared in twenty-six of the thirty-nine episodes of Stories of the Century, the first western to win an Emmy Award. The series focuses upon the capture of such western outlaws as Billy the Kid, the Dalton Brothers, the Younger Brothers, and Sam Bass. Castle left the series and was replaced by Kristine Miller. In 1956, she appeared on The Bob Cummings Show in the episode "The Trouble with Henry". 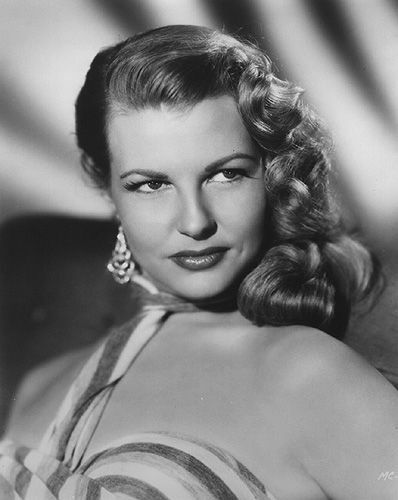 In 1957, she guest starred on ABC's The Adventures of Ozzie and Harriet, as Enid Shaw in "The Case of the Baited Hook" on CBS's Perry Mason, and as Alice Wilson in "Test of Courage" of ABC's Cheyenne, starring Clint Walker. She appeared too in Frank Lovejoy's detective series, Meet McGraw. 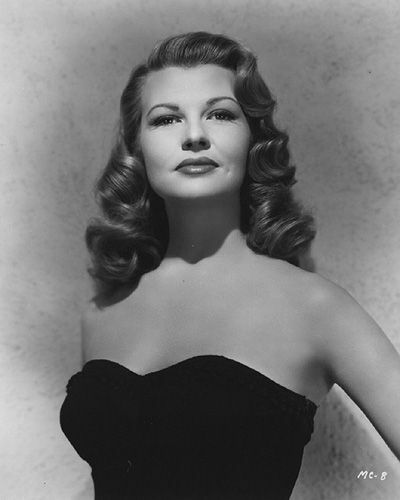 In 1959, she appeared on Rex Allen's Frontier Doctor syndicated series. In 1960, Castle appeared as Marianne in the episode "The Chinese Pendant" of CBS's crime drama Tightrope starring Mike Connors. Castle's last television appearance was as an unnamed saloon girl in the 1962 episode "Collie's Free" of James Arness's long-running CBS western Gunsmoke. She had also appeared as Cora Dufrayne in the 1953 Audie Murphy film also entitled Gunsmoke. Castle was involved romantically with several men, including actor Richard Long. She ultimately had three short-lived marriages. From 1957 to 1958, she was wed to William France Minchen, who used the stage name William Grant. They soon divorced, and he remarried. From 1960 to 1961, Castle was married from to Wayne Cote. Castle and her third husband, Erwin A. Frezza were wed from 1971 to 1972. In September 1957, Castle was arrested for public intoxication after she allegedly attempted to kick and bite two deputy sheriffs, John Aiken and K.H. Smiley, in Hollywood. The officers said that they found Castle fighting with her first husband in a parked car while her ten-year-old daughter cried in the back seat. On September 14, 1959, Castle was revived by artificial respiration and taken to Malibu Emergency Hospital after being found seemingly lifeless and wearing little clothing on the beach in Malibu. On October 28, 1959, she was arrested again and fined for drunkenness. A month later on November 26, she tried to hang herself upon being placed in a Beverly Hills jail. Castle spent her later years in Lodi, California. She died of lung cancer at the age of 67 in Palm Springs, California.